Before a recent trip to Napa Valley, I posted at least three separate tweets on three different days announcing that we would be traveling to #Napa and asking for recommendations on wineries to visit. Of the 400+ brands in the valley (plus another 250 if you count Sonoma), only ONE, @SilverOak, took the bait and issued an invitation to visit. 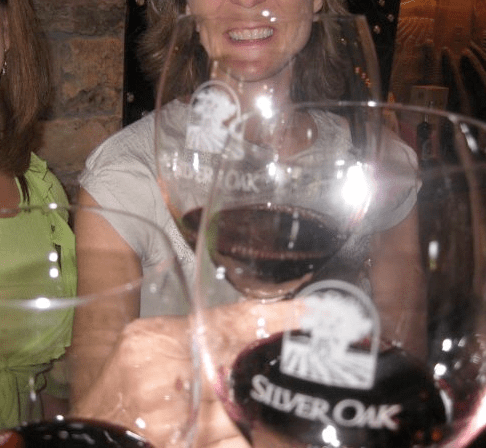 Because of their response, we suspended our rule of only visiting new brands in this trip and returned to Silver Oak. From the lack of response to my tweets, I can only assume that none of the other Napa brands are using social media for listening. That’s a shame. Social media is not a broadcast medium; brands that use it just for talking won’t get anywhere close the to return they should from the channel. Social media is a conversation medium and, just like in real conversation, listening is as important, if not more-so, than talking. Since wine and food go together like a blog and Twitter, it seems appropriate to look at the 2011 Top Chef Finals (@BravoTopChef) for a great example of how important it is to listen in your social media. Richard Blais (@RichardBlais) had been to the finale in a previous Top Chef season and came in second place. In his own words, he had let his creativity overshadow the execution details in the previous finale. Going into the finale this season, Michael Isabella was on a roll. He had won most of the events over the final 3 shows and was, perhaps, unstoppable. For the final showdown, each chef was given a separate restaurant to cook in and asked to come up with four courses that exemplified what each might serve in his own restaurant. There were eight judges who were to be served in two seatings: four in each restaurant in the first seating and the next four in a second seating in the other. Each chef admitted this was going to be a very close finale and that a single small mistake could mean the difference between winning Top Chef and coming in second. Yet, only one was clever enough to employ a fundamental social media technique to mitigate errors and gain a critical advantage. Aside from the responsibilities of helping with prepping, cooking and plating, Richard assigned a very unique role to one of his assistants, Spike Mendelsohn. Richard asked Spike to unobtrusively walk around the restaurant and listen in on the conversation among the judges as they tasted each course. Spike didn’t conduct a focus group with the judges. He didn’t send out a survey. He didn’t issue a press release. He didn’t hire a team of dining consultants. Spike listened to real conversations in real time by real users. Richard used the information Spike brought back to make enough of an adjustment to his Foie Gras Ice Cream that the judges in the second seating were able to focus on the positive aspects of the dessert without being distracted by some minor faults in the ice cream which were discussed by the first group. Richard won, and the real-time adjustments he made to the ice cream were most likely what put him on top. The conversations to which Spike and Richard responded could just as easily have happened on Twitter, or a Facebook Fan Page or a blog or a review site as they did around the table. Like Richard Blais, smart organizations have realized the value of listening to customer conversations and having mechanisms in place to respond smartly to the most actionable feedback. The aggregation of the small gains that can be made by successful adjustments can add up to big wins. Previous Post How Many Tweets Does it Really Take to be Effective? That’s quite a shame, and it makes me a little frustrated as well. As Sales & Marketing Guy for Rocca Family Vineyards, I pride myself on “listening” to the social media conversation, and in fact use services to identify potential customers like you with keyword searches like “recommend napa winery.” In fact, it was such a service that pointed me to your blog…but not your original tweets. I would hazard to say that perhaps your original tweets were somehow not properly identified. Either way, we;d love to get a second chance on your next visit. Call or email me next time you’re in Napa and we’ll host you at Rocca Family Vineyards! Thanks, John! We definitely will visit your location the next time we are in town. Im at once both gladdened and disheartened to read the post. Glad because exactly the same thing happens in South Australia. I recently put out a general query (three times) for two different regions we were visiting. With a few RT’s from others, but essentially minimal responses from producers, and worse of all, no interaction from regional tourism bodies. Naturally Im disheartened because I know what they are missing out on. And to some degree tired of the one-way ‘conversation’ from producers. Time for them to lift their game. One thing I learned when we went to the Finger Lakes a couple years ago, the best thing to do is not rely on Twitter, but contact a blogger or two who write about the wines and wineries from that state. Then you will get the best advice on what wineries to visit instead of the wineries who follow social media. Let me know next time you’re in Texas and I’ll be glad to suggest some places. Cheers!